Come and listen to a story 'bout an orange striped cat. Waffles was his name, but the Boss - she called him Brat. Then up on the counter, he grabbed and he chewed. Some of our most favorite TV spoofs are all about the theme song. Of course, finding words that rhyme with Waffles and orange is never easy! When it comes to living with Waffles, Katie would say that's never easy either. 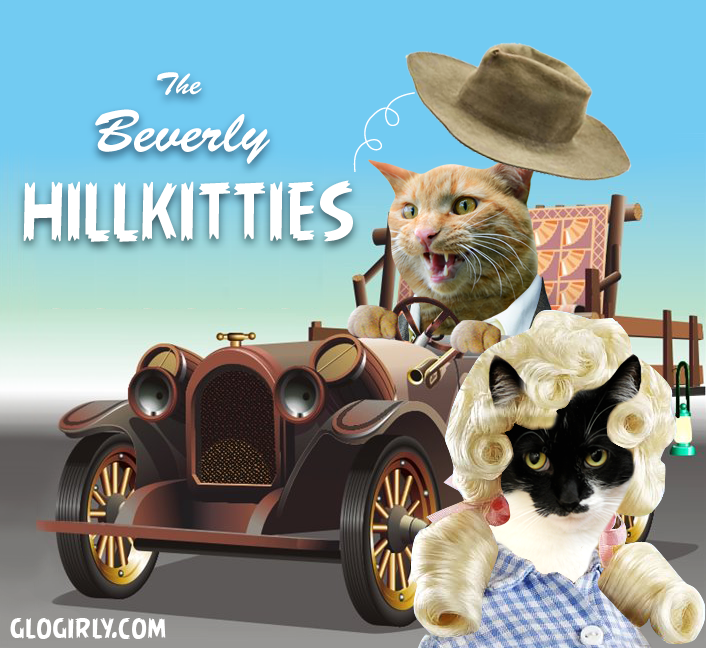 The Beverly Hillbillies was a little before Glogirly's time, but thanks to reruns, she's seen ALL the episodes. And thanks to this blog post, she's got that banjo music stuck in her head. And we bet you do too! I think everybody's seen the Beverly Hillbillies, at least in reruns... same with the Monkees. My human has friends who had crushes on Davy in the 1970s, not quite realizing the episodes were 10 years old. BTW, the only thing my human has ever found that rhymes with orange is... door hinge! I’m old too and watched it. Bet Waffles has those spoons to scoop up gravy! Now who's going swimming in the ceement pond??? 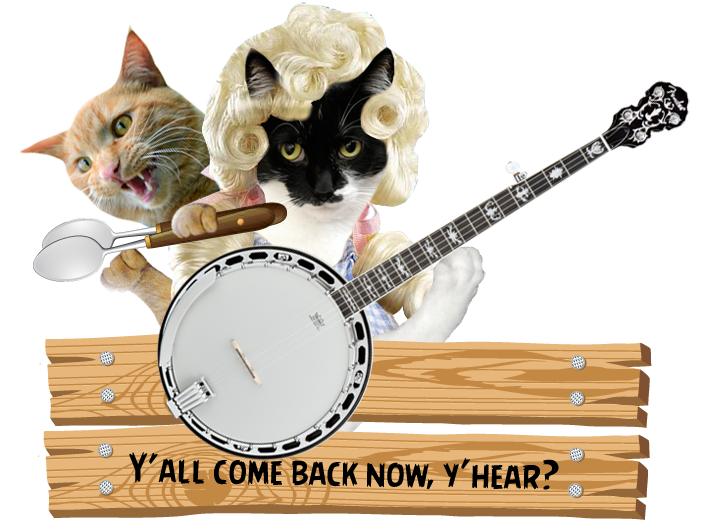 We do have that song stuck now, but that's ok. We're now picturing the cats with the music instead of the Clampetts! Well, I'm showing my age here, but this show was not before my time and I loved it so much! Naturally, Elly May was my favorite, as she was always saving "critters!" Purrs from Deb and the Zee/Zoey gang.